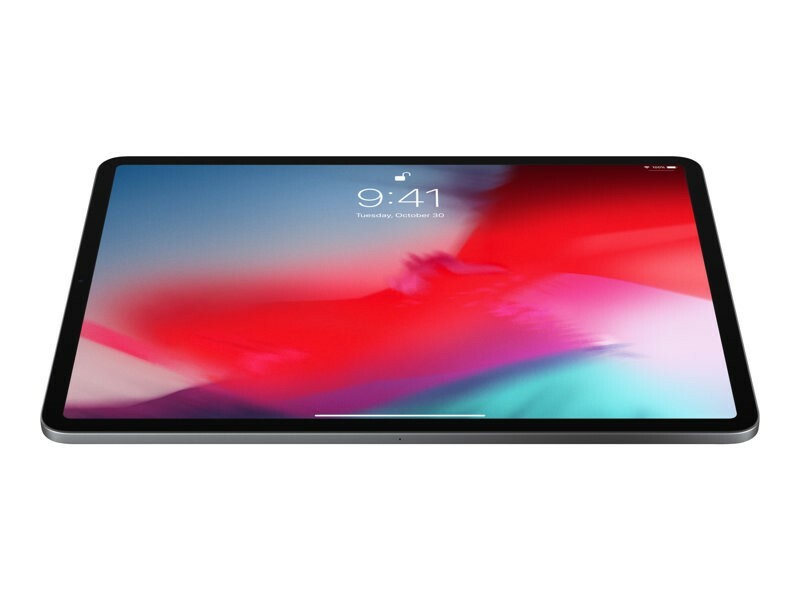 The all-screen design means iPad Pro is a magical piece of glass that does everything you need,any way you hold it. With intuitive gestures,getting around is simple. The Liquid Retina display goes from edge to edge. True-to-life color and ProMotion technology make everything look gorgeous and feel responsive. Put all that power to work by multitasking with just a few swipes. Work on a creative project,message with a friend,search the web for inspiration,and make a FaceTime call. Faster graphics makes iPad Pro the perfect machine for augmented reality and a great way to play immersive games. Apple Pencil now responds to your touch. With a double tap you can quickly change brushes or switch to the eraser,without interrupting your flow. And it attaches magnetically to pair and charge. The Smart Keyboard Folio provides a great typing experience and elegant front and back protection. USB-C gives you a high-performance connection to accessories like an external display or camera. iPad Pro has two great cameras equipped with Smart HDR. The rear camera great for stunning photos,4K video,document scanning,and AR experiences. And a TrueDepth camera perfect for portrait selfies,facetime,animoji,and memoji.